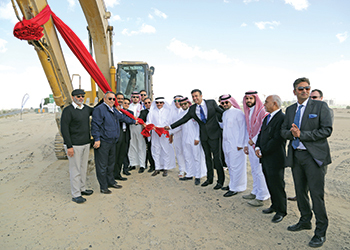 The contracting company, which is claimed to be the world’s largest housing construction contracting company, has started work on four show villas for the project, which is targeted for completion by June 2018. CSCEC Middle East, a major overseas operational entity of the Chinese firm, has worked on some of the most iconic projects in the region, including the Nad Al Sheba Racecourse, The Palm Jumeirah Villas-Garden Homes, Sheikh Khalifa Specialist Hospital, Abu Dhabi International Airport Midfield Terminal Building (structural steel works), City of Lights, Al Hikma Tower, Doha Tower and Central Bank of Kuwait hew headquarters and several impressive projects in the UAE and Middle East. Inspired by the finest communities and resorts in Southeast Asia and across the world, Zen exemplifies a relaxed lifestyle in a lush, tropical paradise, Maitra says. The 346-villa project will include waterways, meditation zones, and lush greenery when complete. The development, spread across 4.5 million sq ft of land in Dubai Golf City, will also include retail areas, clubhouses, and pavilions with covered outdoor seating. The community comprises four-, five- and six-bedroom villas and three-bedroom townhouses, ranging in size from 4,000 to 10,000 sq ft.
Indigo Properties has completed construction and handover of more than 1.5 million sq ft of property in Dubai, with more in the pipeline. Its other projects include the 68-villa ‘Orange Lake’ development located in Jumeirah Golf Estates; Indigo Ville, a 117-townhouse development situated in Jumeirah Village Circle; and Indigo Spectrum One and Indigo Optima, two buildings located in International City.